A lot has happened since our previous Main Event update last Friday, as over 1000 players have become only 27 players still with the chance of taking down the most highly regarded poker tournament in the world! Read more » 2017 WSOP Main Event: 27 Players Left - 2015 Bracelet Winner In The Lead! Posted on Tuesday, June 06, 2017 by "T". Just like any other gambler, poker players need diversity and constant action. That said, playing for millions of dollars in poker cash games and in WSOP tournaments just isn't enough for some individuals looking for more thrill and excitement. Posted on Thursday, November 10, 2011 by "T". 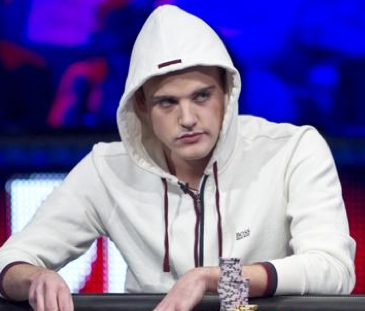 In case you haven't been living under a rock since yesterday morning you probably heard that the 2011 WSOP Main Event is over and that Pius Heinz, from Germany, is the champion. After defeating Martin Staszko in heads up, Heinz received the diamond bracelet and an amazing first place prize of $8,715,638. Add to that that he's the first German in WSOP history to win the Main Event. Posted on Wednesday, November 09, 2011 by "T". 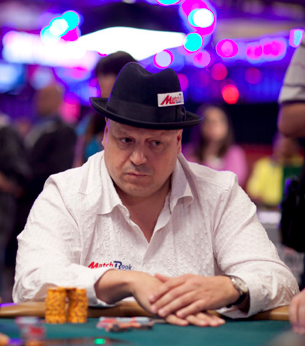 Martin Staszko had the button, and he went all in for 39,5 million. Heinz called straight away and flipped over A[s]K[c], Staszko showed 10[c]7[c]. The tension in the room became palpable, and Staszko's and Heinz fans stood up and shouted for their cards. The 2011 WSOP Main Event final table is still running and still a world champion hasn't been crowned. The 3 players who returned to the final table 7 hours ago were Pius Heinz, from Germany, with 107 million chips. In second place is Ben Lamb, from USA, with 55 million chips, and in third place is Martin Staszko, from Czech Republic, with 42 million chips. Posted on Monday, November 07, 2011 by "T". 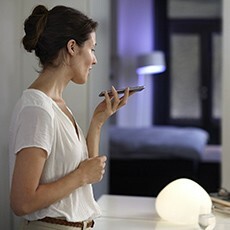 The 2011 November 9 kicked off yesterday and still a world champion hasn't been crowned. When 6 of the 9 players had hit the rail, the tournament crew called it a day and play will now resume on Tuesday. 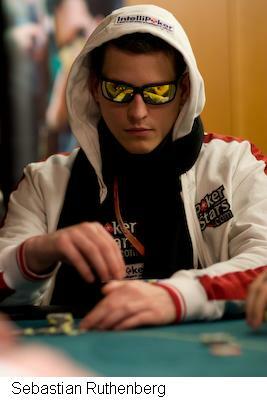 The remaining players are Pius Heinz, from Germany, with 107 million chips. In second place is Ben Lamb, from USA, with 55 million chips, and in third place is Martin Staszko, from Czech Republic, with 42 million chips. Posted on Friday, July 29, 2011 by "T". Nine days have now passed since the 2011 WSOP Main Event final table was set, and we are really sorry that we haven't been able to put up the news until now. Now, below you will find the 9 finalists and some brief information about each one of them (information taken from the official WSOP website). The final table (televised) will be played in the first week of November. 8 of the 9 finalists are guaranteed at least $1 million each, and the winner will become the World Champion and receive a prize check of almost 9 million dollars! All of the finalists have plenty of chips to work with, so expect it to be one of the most interesting final tables in WSOP history! 2011 WSOP Main Event: 22 players through to Day 8! Posted on Tuesday, July 19, 2011 by "T". After a very long, intensive and exciting day of play we're now down to only 22 players. These 22 players will now get some well-needed rest before they have to return to Rio's poker room and play Day 8 of the Main Event. All the remaining players are guaranteed at least $302,0000 each. Just like in the past 7 days, a new player will return with the largest stack to Day 8, Anton Makievskyi. Makievskyi played fantastic poker during Day 7 and managed to accumulate a stack of over 21 million chips. His closest opponent, Eoghan O'Dea, has 19 million chips. Even though these 2 players have a nice lead over the rest of the field it's very hard to say what will happen during Day 8. One thing is for sure though - 9 players will make it to the final table in November - 8 of them will become dollar millionaires. Posted on Monday, July 18, 2011 by "T". Day 6 of the 2011 WSOP Main Event came to an end about 1 hour ago. Left are now only 57 players that will return to play Day 7 tomorrow. The current chip leader is Ryan Lenaghan with with almost 13 million in chips. In second place is Ben Lamb with almost 10 million chips, followed by 3 players with about 7-8 million chips (Matt Giannetti, Andrey Pateychuk & Phil Collins). Notable names to survive play today include David Bach, Lars Bonding, Erick Lindgren, Sam Barhard and Team PokerStars Pros Sebastian Ruthenberg and Tony Hachem. 8 of the remaining players will become millionaires and one will become the World Champion and receive the coveted gold bracelet! We will return with an update as soon as day 7 is over. Stay tuned! Posted on Sunday, July 17, 2011 by "T". The 5th day of the 2011 WSOP Main Event is in the books. Out of the 6,865 players who signed up for the tournament 8 days ago, 142 players will return tomorrow and play Day 6 of the tournament. Not less than 5 players will return with more than 4 million in chips tomorrow. Chip leader is David Bach, from USA, with 4,7 million, closely followed by Pius Heinz (4,699,000) and Kyle Johnson (4,654,00). Posted on Friday, July 15, 2011 by "T". Day 3 of the World Series of Poker Main Event came to and end about half an hour ago. Out of the 1,864 players that started the day, "only" 900 players will return to play Day 4 tomorrow. In the lead are two americans - Patrick Poirier with 1,328,000 chips and Daryl Jace with 1,282,500. 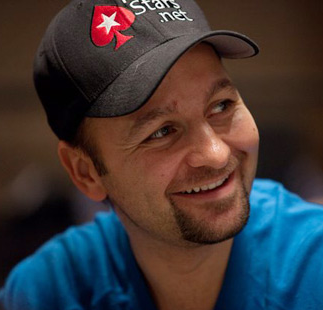 Sebastian Ruthenberg, from the UK, is the biggest name in the very top of the remaining field of players. Ruthenberg, who has 1 WSOP bracelet and 1 EPT title, played fantastic poker during Day 3 and has accumulated 889,000 chips and is in 6th place at the moment. Apart from Ruthenberg, there are many big names with plenty of chips left (just to mention a few) - JP Kelly (33rd place - 492k), Ben Lamb (37th place - 450k), Erick Lindgren (64th place 355k), Tony Hachem (65th place - 355k), Allen Cunningham (87th place - 274k), Freddy Deeb (265k), Sorel Mizzi (93rd place - 250k), Jake Cody (95th place - 250k). 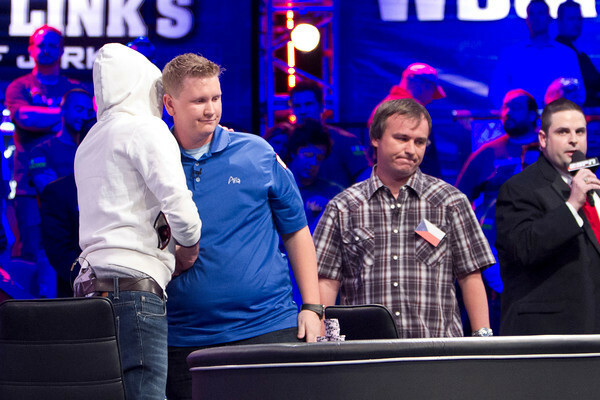 6 days have now passed since the 2011 World Series of Poker Main Event kicked off. In the 42-year history of WSOP, the Main Event this year is the third-largest ever, with 6,865 participants and more than 1.4 billion in prize money. Anyhow, the 4 starting days are in the books and also Day 2a (822 of 2,031 through to Day 3). We are now waiting for the official Day 2b results to be released. It will be interesting to see how many survived from the 2490-player field. Posted on Wednesday, July 06, 2011 by "T". Day 4 of Event #55: The Poker Player's Championship is being played at the moment. The tournament is on a 15-min break right now and there are only 13 players left. 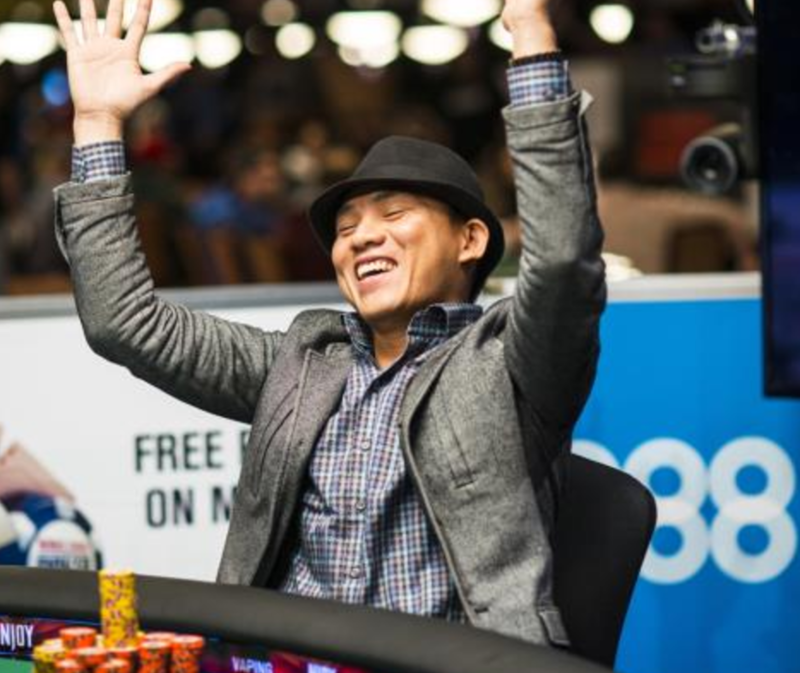 Chip leader is Brian Rast with 3,3 million chips, and in second place is Owais Ahmed with 2.2 million, closely followed by Minh Ly. 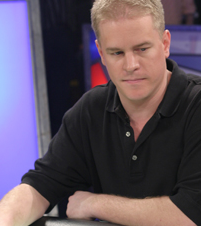 Ben Lamb, Phil Hellmuth and Jeffrey Lisandro (picture) are the biggest names left in the remaining field of players. We will return with an update as soon as the tournament is down to a final table. Stay tuned, folks! 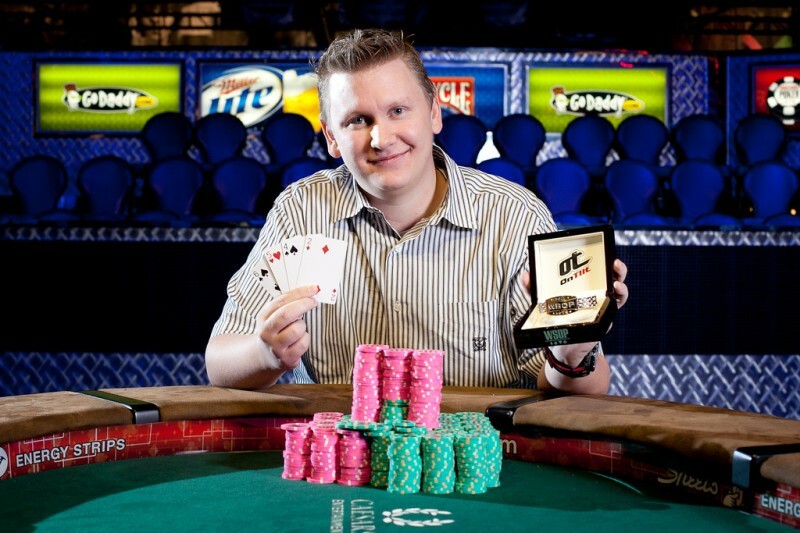 2011 WSOP: Ben Lamb took down the $10k PLO Championship for $814,436! Posted on Tuesday, June 28, 2011 by "T". Congratulations to Ben Lamb, winner of Event #42: $10,000 Pot-Limit Omaha Championship. But boy was it close that he almost lost all his chips in the final hand. Below you can see how the last super-exciting hand between Ben Lamb, from Las Vegas, and Sami Kelopuro, from finland, was played out. 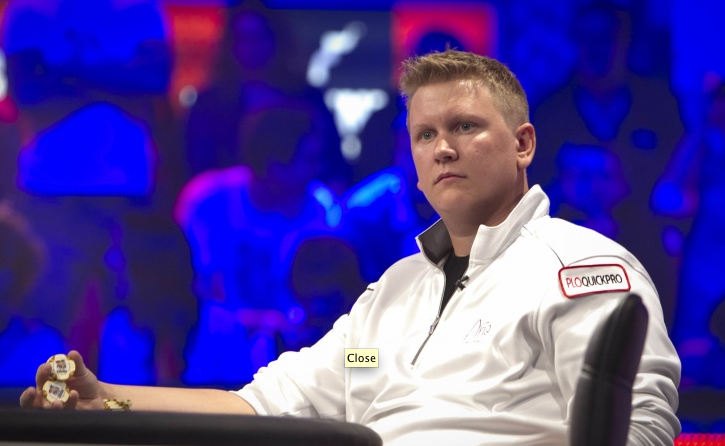 Read more » 2011 WSOP: Ben Lamb took down the $10k PLO Championship for $814,436!